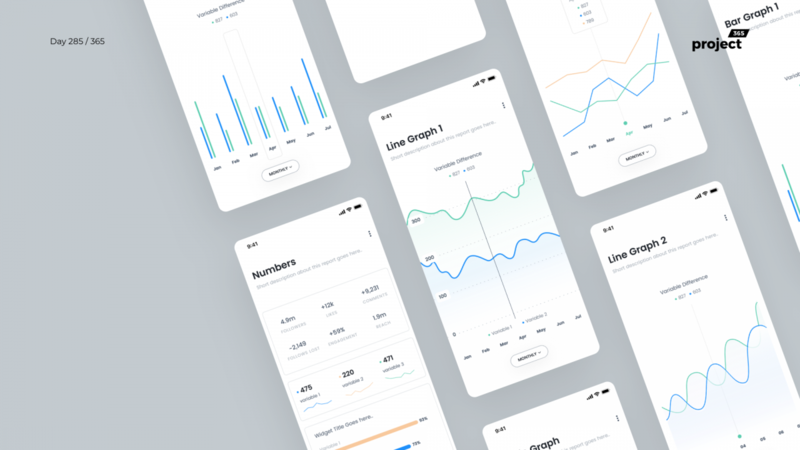 Brief: To design a mobile charts/graphs analytics UI Kit in Sketch. Hey Guys, from this week I want to share UI Elements for every freebie friday. For starters, here are a few of my favorite data visualization interfaces for mobile, made in Sketch. Go ahead and try it out. Let me know what you think! Also, what kind of elements would you want on the next week’s freebie?